Walk the sidewalks of Manhattan or spy on what the celebrities are pushing in Los Angeles and either way, you're likely to see a Bugaboo. 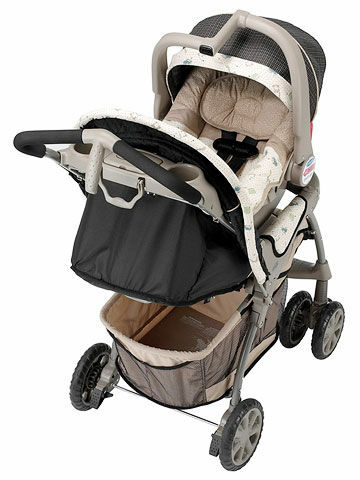 These strollers are large -- not for people who ride mass transit -- but they offer superior comfort for baby and easy pushing for parents. Their least expensive version is the Gecko ($680). There's still nothing like Stokke's Xplory, which is designed so that your baby rides up high, where she can see you best. The built-on bag (instead of a basket) keeps your supplies from rattling around. New this year is a bassinet attachment (and adorable parasol!) to make it more newborn-friendly ($1099 for the Xplory Complete, which has a regular seat plus the bassinet). 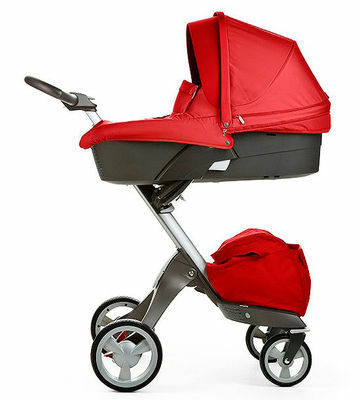 Try this look-alike, called the Infant-to-Toddler Stroller, by Fisher-Price and made for Target. 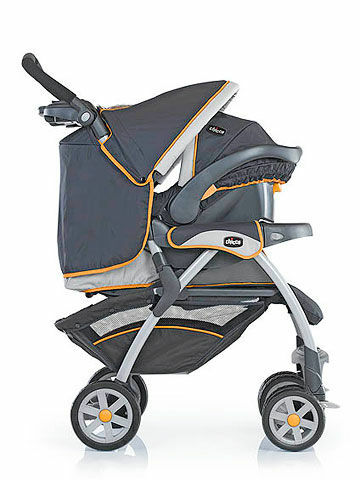 The seat reclines for an infant and, like all the best models, the seat can be turned so baby faces you ($250). We love the Joovy Caboose, which can fit a car seat in the front and has a place for an older child to stand in back. If the big kid tires, there's a bench for him -- but it lets him face you, so he doesn't feel like a baby ($150). The Inglesina Twin Swift is a best buy because, despite its light weight, it holds up under very heavy use. 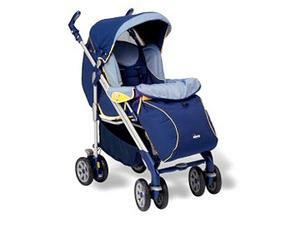 It folds flat (making it easy to travel with or store) and each seat reclines for naps and has an individual canopy. And, yes, it fits through doorways ($250). Phil & Ted's E3 is rugged -- bumps are no problem -- but what's innovative is the way it stacks the kids. In one mode, a newborn rests in a nest under a sibling. 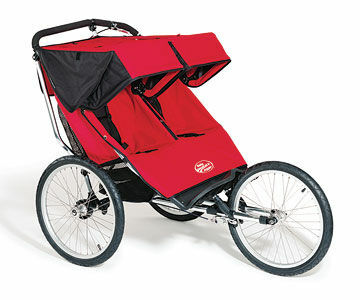 Later you add the doubles kit, so one child can sit under another -- kids absolutely love it ($470; includes both seats). 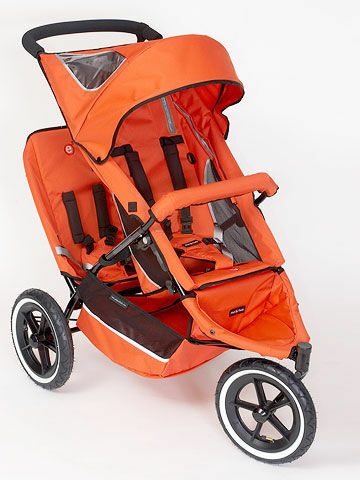 Baby Jogger set out to build the ultimate running stroller with its Performance Series, including the double, which manages to make even pushing two kids simpler. 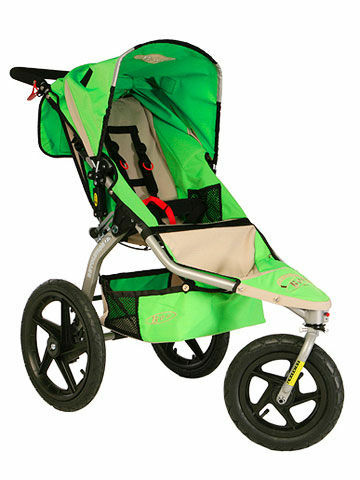 Huge tires and a solid frame (no joints that can wear down) help the stroller last even through intense runs ($480). 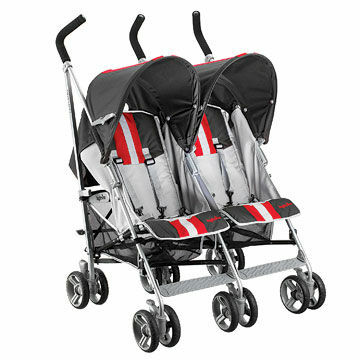 BOB strollers made the Revolution, for parents who want to use the same stroller for exercising and for shopping. The front wheel can be set to swivel, making turns a snap. 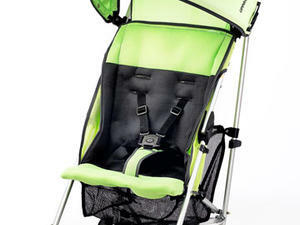 Also new: It can accommodate a newborn's car seat ($360). You'll get Graco's top-rated infant car seat and a great compact stroller to push it in with the new Mosaic travel system. 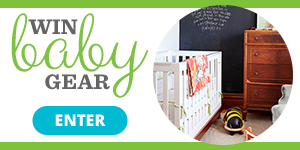 It's handy from baby's infancy through the toddler years ($200). 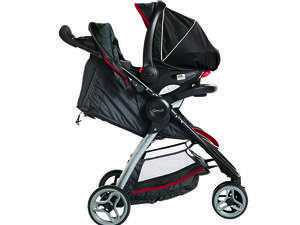 Chicco's Cortina Travel System, is deluxe. 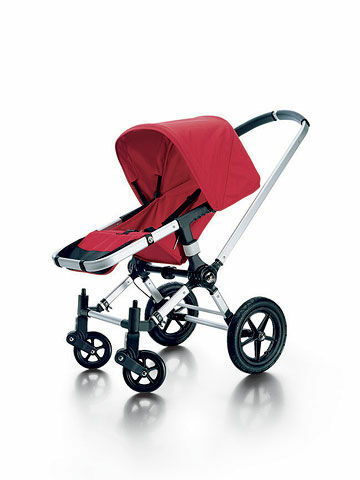 The stroller can be folded with one hand and has all-wheel suspension and an adjustable leg rest for comfort. 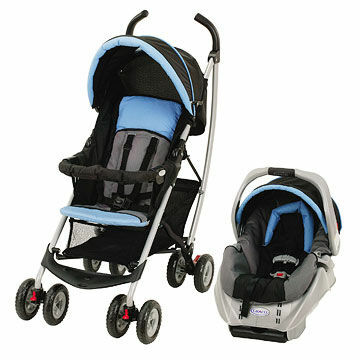 Its KeyFit car seat has LATCH finders and a one-pull tightening strap for no-hassle installation ($280). Sometimes all the special features start to make your eyes cross, right? Our vote for simplicity and value is Evenflo's Journey Travel System. 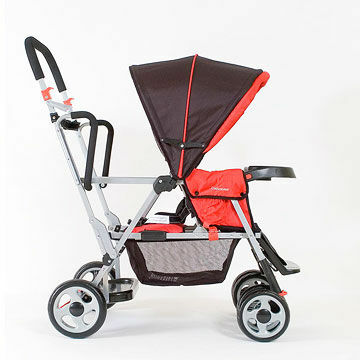 It looks cool, can be steered with one hand, is easy to fold without needing to bend over, and comes with the Embrace infant car seat ($130-$140).